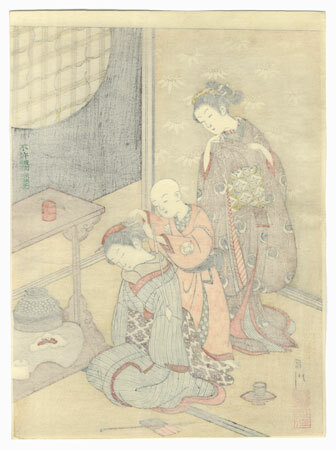 Night Rain of the Tea Stand - Amusing scene of a young woman who has dozed off from the warmth of the tea kettle on a stand next to her. 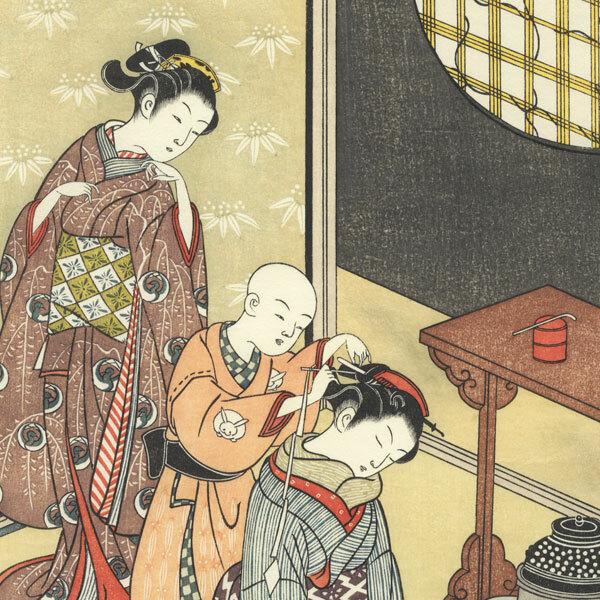 A mischievous young boy is sticking a hairpin with a paper streamer tied to it into her hair as another beauty watches. 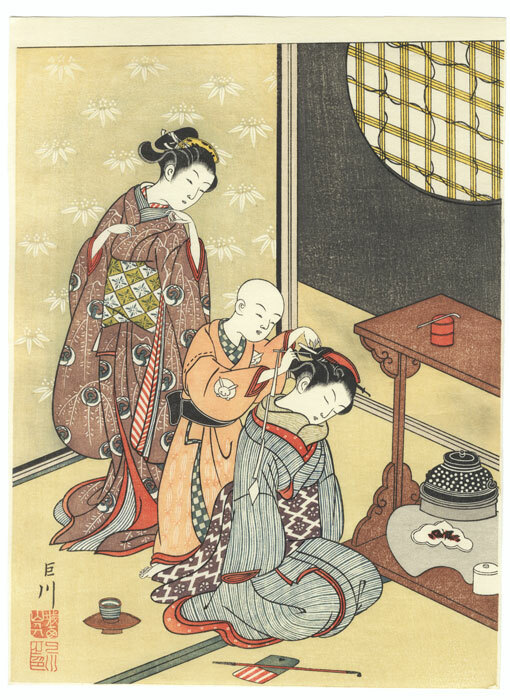 In this charming parody of one of the famous "Eight Views of Omi," Harunobu likens the sound of the boiling teakettle to a night rain. Beautifully detailed and colored, with delicate embossing in the paulownia leaves on the wall panels and the yellow kimono trim. Image Size - 10 3/4" x 7 1/2"